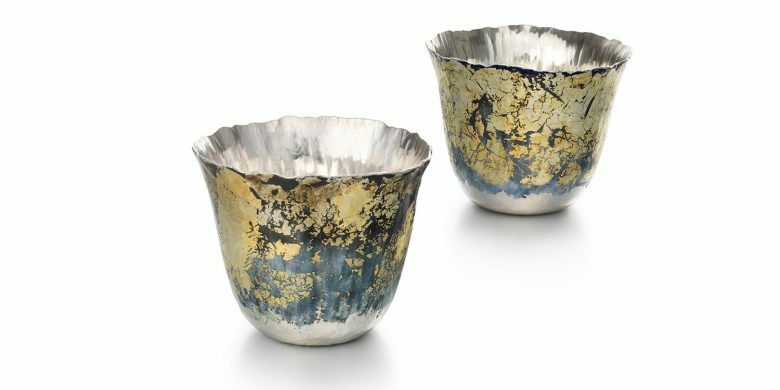 Members of Contemporary British are taking part in Silver: Light and Shade which explores the unique properties of an extraordinary material. Best appreciated when handled and used, silver is lustrous and alive. The colour and patina of silver are affected by the techniques used to work it and the way it has been cared for. Silver can be turned black or matt white, it goes red under heat; it can be combined with base and other precious metals, enamel or precious stones. Silver: Light and Shade will tell a new story about silver, celebrating its visual impact, how it is worked, and what it means. Silver: Light and Shade will explore the different processes used by silversmiths to create a range of surface textures and patterns, highlighting the continuity between the techniques used for centuries and those used today. Showcasing the work of skilled contemporary makers alongside masterpieces made over the last 500 years, the exhibition will consider what inspires commissions and how different artists approach them to create extraordinary and unusual objects. It will place extraordinary objects of the past in context, highlighting silver’s enduring appeal in surprising ways. Heat, chemistry and light are at the heart of any work in metal. Silver: Light and Shade will investigate the experimental techniques used to transform the colour of silver, from patination to mixing this precious metal with other chemical compounds. Gilding is one of the major transformations of much historic silver, both denying and celebrating the silver body. The desire for showy and rich decoration was typical of 19th-century collectors like Sir William Holburne, and this exhibition will explore the thinking behind the use of gilding on silver’s bright and radiant surface. The exhibition will reintroduce this lustrous material to a wide audience by telling a creative visual story. The exhibition brings together around 70 historic and contemporary masterpieces in silver from UK collections including the V&A, the Ashmolean Museum, Temple Newsam, the Royal Collection, the National Museum of Wales and Goldsmiths’ Company, as well as the Holburne Museum’s own collection.